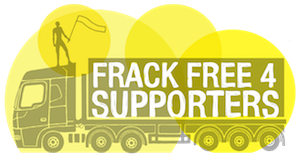 This week three non-violent campaigners opposing fracking were jailed for 15 to 16 months simply for ‘causing a public nuisance’ and for not expressing regret. Although others have received jail sentences in more recent times, this is the first time since 1932 that environmental defenders have been imprisoned for such long periods of time for staging a protest in the UK. It is also the first time ever that activists have been jailed for anti-fracking actions. We oppose this absurdly harsh sentence and join calls for an inquiry into the declining space for civil society protest that it represents.